Hunter PR has released information about an upcoming, much rumored, six inch line of Star Wars figures from Hasbro. Dubbed the “Black Series”, the figures will feature an MSRP of $19.99 and will debut sometime around August of this year. The Black Series is also rumored to be taking place of the Vintage Collection for the 3 ¾” scale. More details are set to be released at Toy Fair. 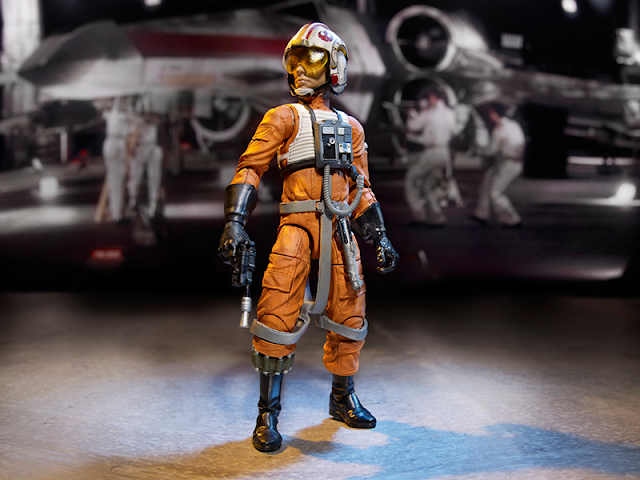 In the meantime, click to see the official press release, along with photos of Luke Skywalker in X-Wing gear. If the finished product looks anything like the production sample, this could end up being a great line. Nice! 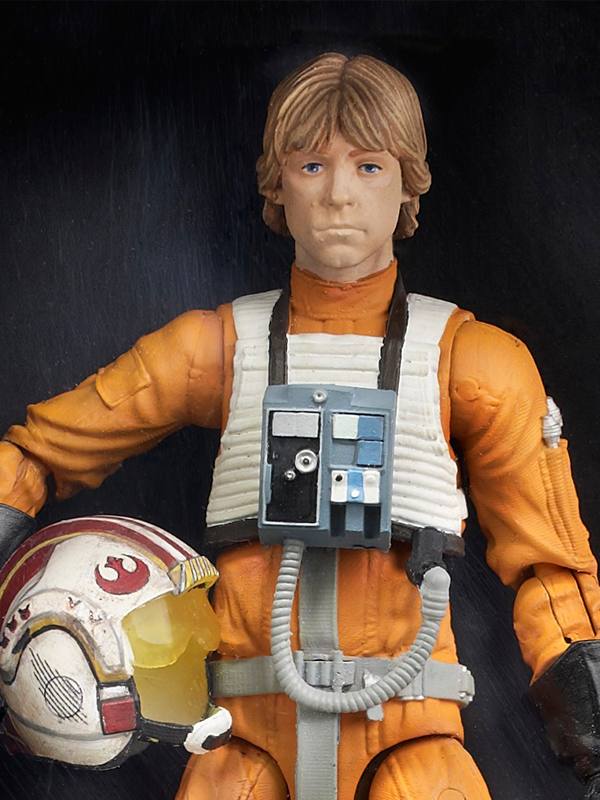 This Luke looks awesome. Can't wait. 6 inch Republic Commandos! I hope make some! 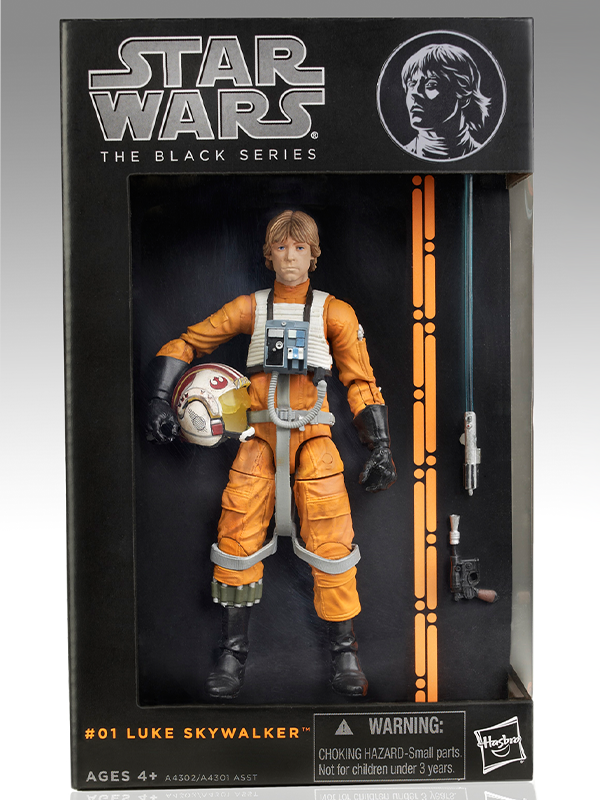 I like this, but one thing bothers me: why is it called the "Black series" (and before someone chimes in with "Duh, it's called the Black series 'cause the package is black",I can very well see that)? Why not call it the "Star Wars Legendary Collection" or something like that? I guess it could be called anything and people would still buy it, but the name just doesn't sit right with me. Well why are you called "Black Arbor"? I mean... ok, just kidding. I see what you're saying, but in the end I don't think it really matters. Like you said, the name isn't what's going to sell the line, it's the quality/value of the product. Maybe they felt a name like "Legendary Collection" sounds too limited or too final, and they like to switch up the name every year or two. How do you follow up the Legendary Collection? What!? Who dares to insult my internet identity? :) Just kidding!